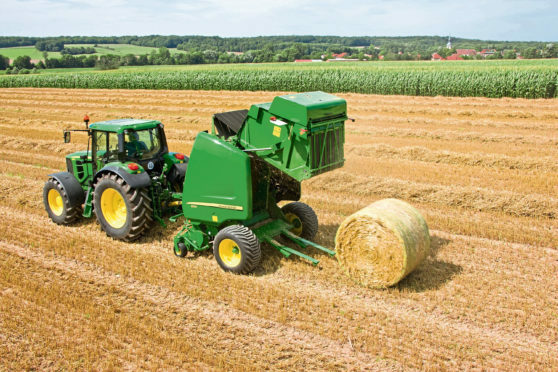 Farmers have been warned of tax bills when selling machinery. Farmers and crofters have been told to be careful of VAT and legal pitfalls when selling second-hand farm machinery. Farm accountancy firm Old Mill says selling surplus machinery is a good way to free up cash, but it usually comes with an increased tax bill and increased risks, especially when dealing with overseas buyers. The company’s head of rural services, Andrew Vickery, said: “If you sell any equipment you will usually have to pay Income Tax or Corporation Tax on the sale price. He said sales of second hand machinery through Cheffins auctioneers had increased by 13% in the second quarter of this year to £10.07 million – its higest level since 2014. However, the volume of machinery traded only increased by 3% and the higher prices were driven by favourable exchange rates for overseas buyers, stronger commodity prices and a lack of stock. He said around 80% of stock sold at the Cheffins Cambridge machinery sales went overseas to buyers from countries including Ireland, Spain, Bulgaria, Poland and Belgium. “If you’re selling overseas to a business you do not generally need to charge VAT,” said Mr Vickery. “For EU sales, you must show the purchaser’s VAT number on your sales invoice and they pay VAT in their own country using the acquisition VAT process. Amy Kerr, senior associate at law firm Clarke Willmott, said it was important to understand the basic legal framework of the country you intend to export machinery to. She said considerations include investigating who you are dealing with, and checking they have legal capacity to sign any contract. Contracts should include an accurate description of machinery, and farmers should consider whether the agreed price includes any sales taxes, customs duties, freight and insurance. Mr Vickery said all these considerations were also relevant when trading within the UK.